I’ve been trying to put together a comprehensive list so people can identify a duck hunter. This is super helpful for someone looking to get a new waterfowling partner*, or for women looking for men to avoid* dating . . .
*No one actually looks for a new water fowling partner. If you have good spots, partners materialize like characters in a JK Rowling book. If you don’t have good spots, well, you need to find a new partner. *Usually the smell of wet ducks and wet Labradors takes care of this, although the raw sexual energy given off by a waterfowler is hard to combat. Ladies, consider yourselves warned. Here we go. 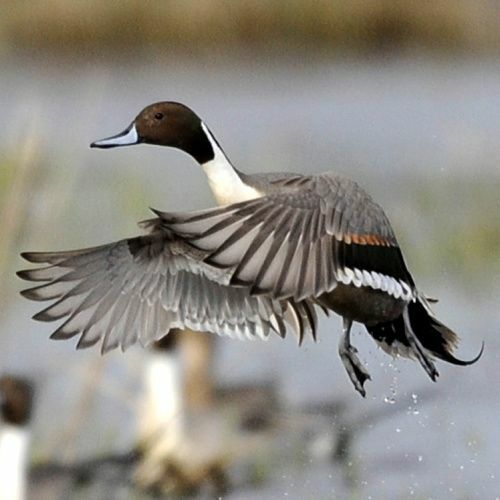 26 signs that you might be a waterfowler. 1. You have nine shotguns, all in Max-5 or Bottomland, all with aftermarket chokes, all slightly less expensive than a used Hyndai. 2. You talk about your kids all the time – “Jake and Will and Olivia” – and Jake is the name of your Lab. 3. You’ve priced a trip to Alaska to hunt Harlequins and Eiders. Or Cinnamon Teal in Mexico. Or Baikal Teal in, well, wherever Baikal Teal live . . .
4. You have a regular taxidermist and a fall-back taxidermist. 5. Both are in your speed dial, ahead of your in-laws. 6. You have at least one box of decoys for a species that doesn’t exist in your flyway. For me, that’s Cinnamon teal. Also snow geese. I may even have a dozen or so long tails. Sue me. 7. A hot dog from a roller grill at the gas station seems like a perfectly reasonable breakfast, especially at 4 am. 8. You buy your ammo on sale. For $25 a box. 9. The last time you talked to your significant other (wife, girlfriend, non-traditional-type partner), they really wanted to “spend some time together” . . . you said you’d make plans for some quality time, right after conservation season. 10. You have no self-control over the number of decoys you put out. A small spread turns into 8 dozen decoys and 6 mojos. 11. You just ordered another dozen decoys. It was a good sale. 13. You believe, beyond any shadow of a doubt, that tomorrow will be the day. No matter what. Tomorrow they will fly. 14. You’re not sure if you still have a job or not; you haven’t been in 4 days, because you’ve been on a hot streak. It’ll be fine, right? 15. You have a call lanyard hanging from the rearview mirror of your truck. You have 11 calls on it, just in case. 16. “They’re gonna fly soon . . . just give them a few more minutes” . . . This is the equivalent of the kiss of death to a duck hunt. 17. You have shotgun shells in your blind bag, your shell vest, your jacket pocket, the cupholder of you truck, the floorboard of the back seat, on the kitchen table, in the top drawer of your desk, on your nightstand, and next to the remote on the recliner. 18.Your longest lasting relationship is with your Retriever. 19. Surface drive vs. Longtail is a more engaging debate than Trump vs. Clinton, or Mayweather vs. McGregor . . .
22. “Taxidermy” is a line item on both your tax return and monthly budget. 24. Every shot fired on your lake is a “bad shot” or someone “skybusting” – had they not taken the shot, surely those birds would’ve poured into your spread. 25. You spend quite a bit of time examining your wardrobe through the lens of “would it flare a bird” – this includes your watch, your hat, your socks, your underwear . . .
26. You realize that what really matters isn’t the straps or the trophies, but the time spent in the blind, enjoying nature’s beauty and fellowship with your friends and family. That’s our list. What did we miss?